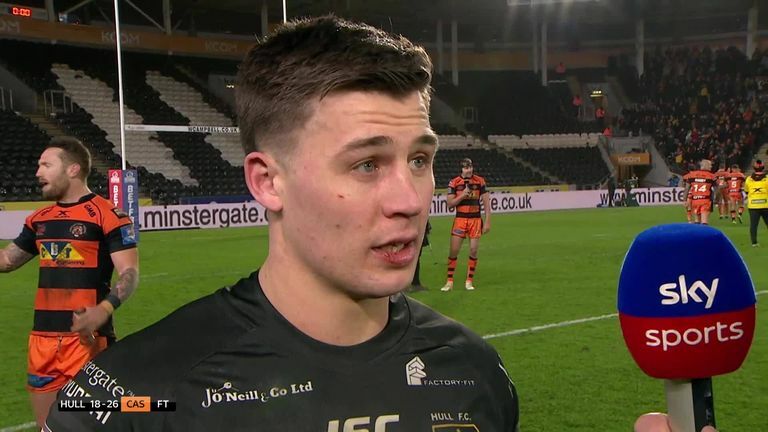 Castleford withstood a much-improved Hull FC display to continue their fine start to the new Betfred Super League season courtesy of a 26-18 victory at the KCOM Stadium on Thursday night. 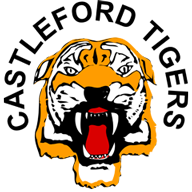 Tigers captain Michael Shenton scored two of his side's five tries and despite Paul McShane's three missed conversions, the visitors handed Hull their second defeat of the season. More worryingly for the Black and Whites, their losing run now stands at 13 games dating back to last June. Shenton gave the visitors the ideal start with the game's opening try in the fourth minute. Jake Trueman broke free from Hakim Miloudi's tackle to create the opening. Paul McShane's conversion gave Castleford an early 6-0 advantage. It got better for Daryl Powell's side when they scored their second try in the 13th minute. McShane's grubber kick was grounded by Jesse Sene-Lefao despite the attempts of Hull prop Scott Taylor to defend his line. McShane was off target with his conversion attempt, but his side led 10-0. Hull eventually managed to get downfield and put the Tigers under pressure on their own try line. Moments after Mark Minichiello was held up, Joe Westerman powered his way over the line against his old club. Marc Sneyd's conversion cut Castleford's lead to 10-6. Hull were level in the 27th minute through a well-worked try between Hull's two half-backs, with Sneyd's precision kick collected superbly by Jake Connor to score on his return from a one-match suspension. Sneyd's conversion edge Hull into a 12-10 lead after 27 minutes. Castleford ended the first half in the same manner they began it, by attacking Hull's line. Again it was Tigers skipper Shenton finishing the move that was made easier by Miloudi's decision to vacate his outside position in the defensive line that made Shenton's job a lot simpler. McShane found the conversion close to the touchline much harder and his missed attempt meant the visitors led 14-12 at the break. Eight minutes into the second half, Castleford extended their lead to 18-12 with their third unconverted try of the game. James Clare ended a flowing attack by grounding the ball in mid-air to avoid going into touch. Hull were then denied a try when Connor's score was disallowed for an obstruction prior to him strolling through to score. In their next set, Castleford extended their lead to 24-12 with their fifth try of the contest. 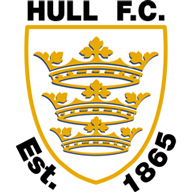 McShane, who was at the heart of most of the Tigers' attacks, dropped a grubber kick through for Junior Moors to ground. McShane ended his run of missed goals by adding the extras. But Hull came back with a try four minutes later when Jordan Lane was sent over the whitewash by Jamie Shaul. Sneyd's conversion closed Castleford's lead to six points. 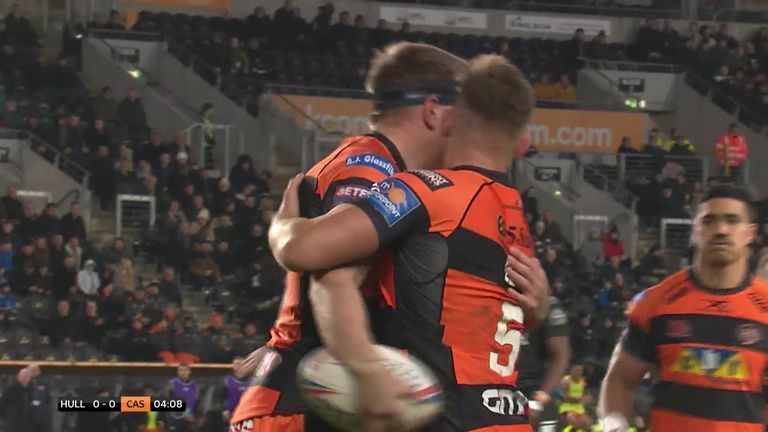 Castleford made it an eight-point game when they were awarded a penalty 17 minutes from time. With three missed kicks to his name, McShane handed the kicking duties to Jordan Rankin who split the uprights with his kick to make it 26-18. Needing to score twice to rescue anything from the game, Hull were unable to threaten the visitors' line in the closing stages of the game. 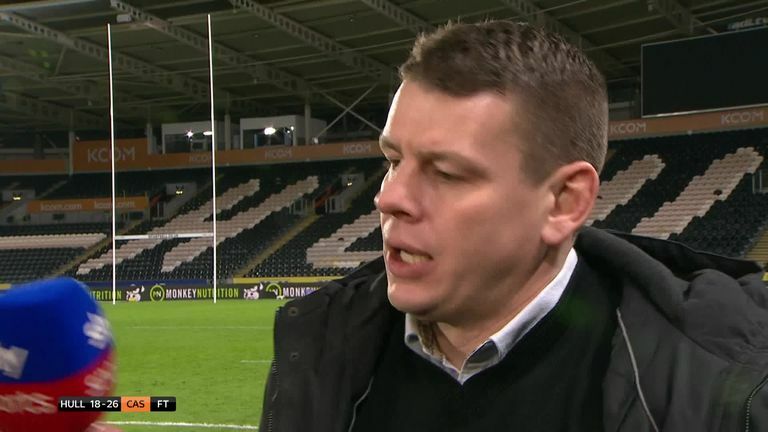 Hull FC coach Lee Radford conceded an inability to show a clinical edge is still costing his side after a second successive defeat to start the new campaign. Radford told Sky Sports: "It's very frustrating. Obviously, it's none from two now. We just need to snag a win. Stay in the game, like we did tonight and snag a win from somewhere. "There's good stuff in there but there's plenty we need to fix up as well. We're down there and we scrambled hard. The game is about taking your opportunities. "It's fine margins in this competition, and we made around 22 tackles on our own try line and that really bent us out." 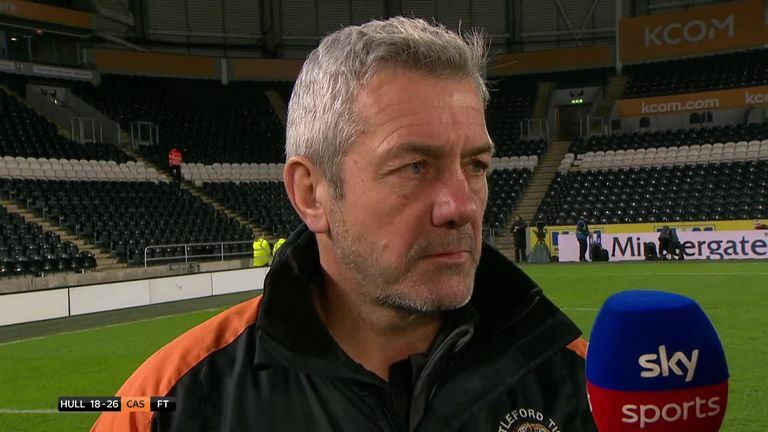 Castleford Tigers coach Daryl Powell knows his side were made to work hard by an improving Hull, and praised the resilience of his players. He told Sky Sports: "We had to scramble today. We started really well, but we produced a few too many errors. The boys were great and dug in when they needed to. "I thought we again started the second half really well and that probably won us the game. We had to withstand some pressure, but the character they showed is massive. "We've got a few injuries which is tough but ultimately we're winning games."